--Thornton Wilder (1897-1975) American writer. 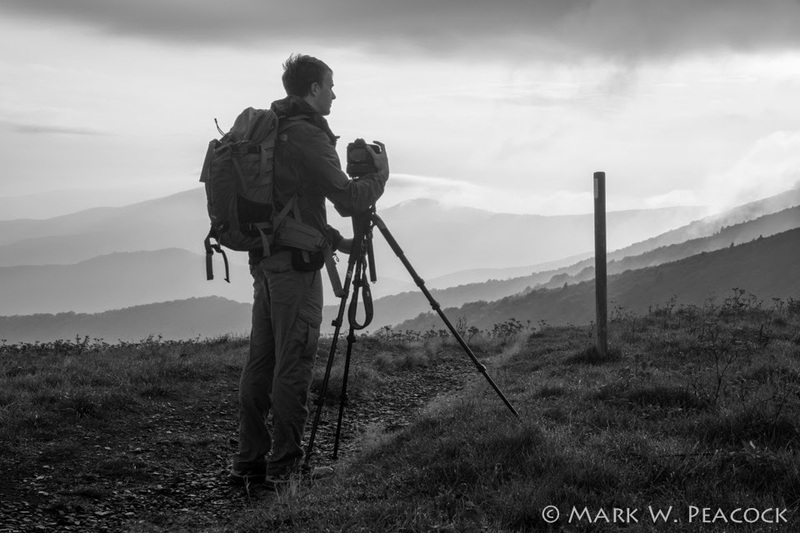 A photo from last fall of my friend Peter taking photos of a misty morn on Round Bald. That day our adventure involved an early morning hike out to Grassy Ridge.